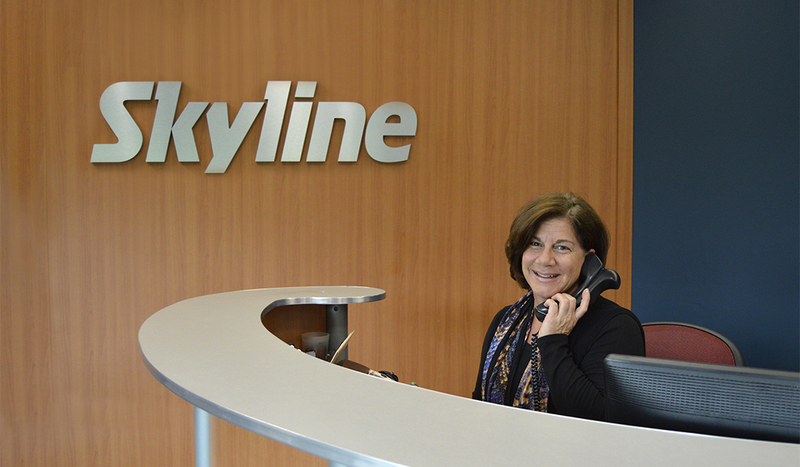 Skyline New Jersey continues to innovate in the industry by rolling out new services to customers. Based on their reputation for trade show conference rooms, Skyline New Jersey is developing corporate interiors as well. Whether you need a fresh look for your lobby, conference room, or other common corporate interiors, we can design something new for you. We take the expertise and skills used in designing backdrops and tradeshow booths and apply it to the corporate interiors. Even with a new area to design, we provide the same clean, insightful, and elegant design that makes our exhibit booths so popular. Our design team will be able to still provide the same high level of production for your office, welcoming visitors with fantastic artwork and commanding branding. Contact us today with the form on this page or give us a call at 1-800-878-5759 to learn more. We design for corporate interiors of all sizes and uses. We maintain the utility of a room with contemporary methods and design ideas, giving you an expertly made product whether it’s a collage of images for a long hallway, a new conference room, or a warm and welcoming reception area. Our designers explore all options for a project, in different backdrops and textures, and their efforts come through in the final product. The building and redesign of a corporate interior is a new segment for Skyline New Jersey, but we carry 40 years of design and support experience and know what draws the eye for any business. Our work with a variety of booth displays across a variety of industries prepared us for new frontiers, and making corporate interiors look fresh and revitalized is our mission. Working with Skyline on your corporate interiors means a fresh perspective from an experienced and skilled artist. The design team will collaborate with you on what a new look means and how to best attract the attention of any visitors to your business. Reach out to our team with the form on this page and one of our associates will contact you soon.